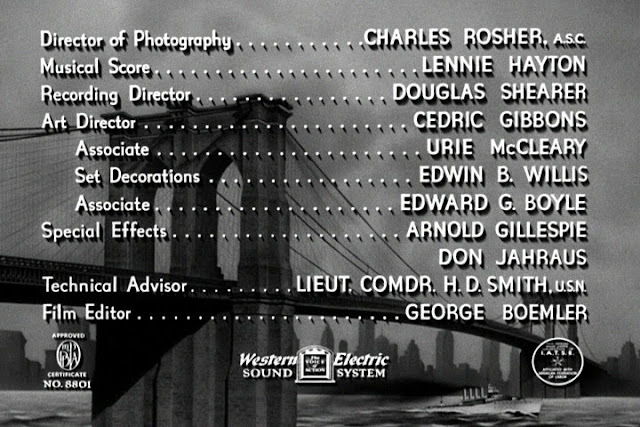 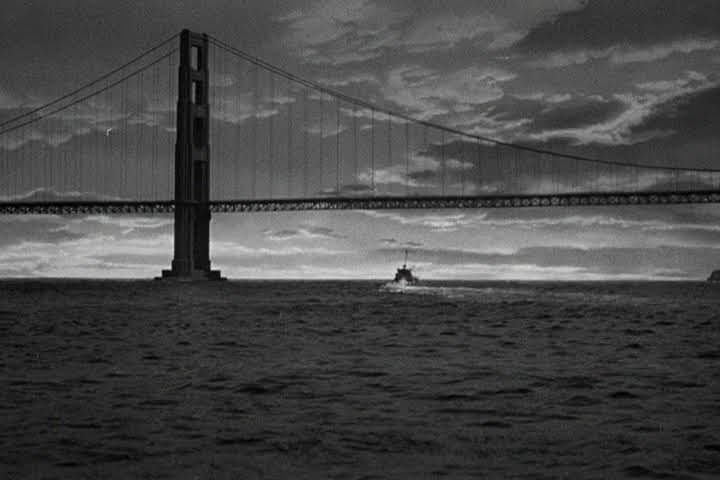 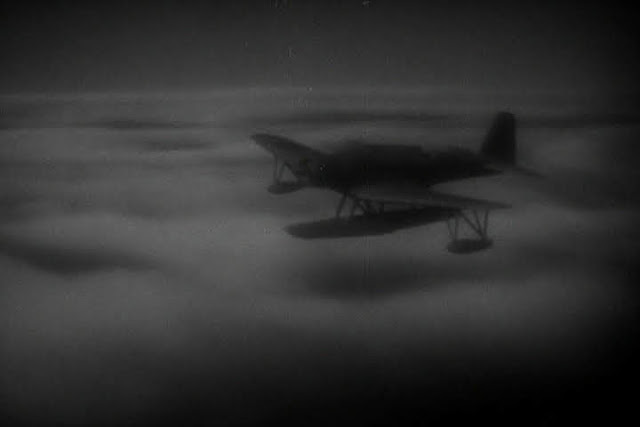 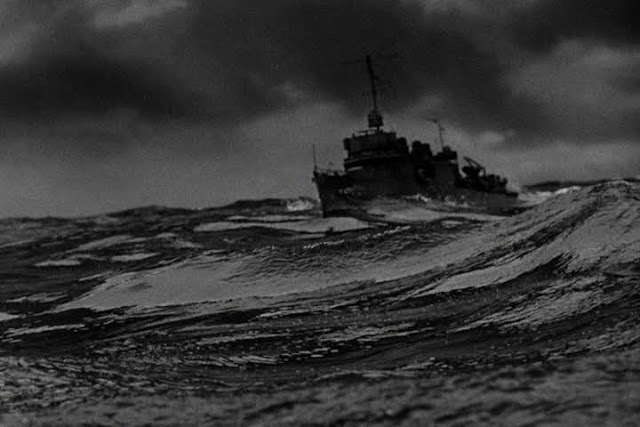 Nominated for best special effects in the 16th Academy awards in 1944. 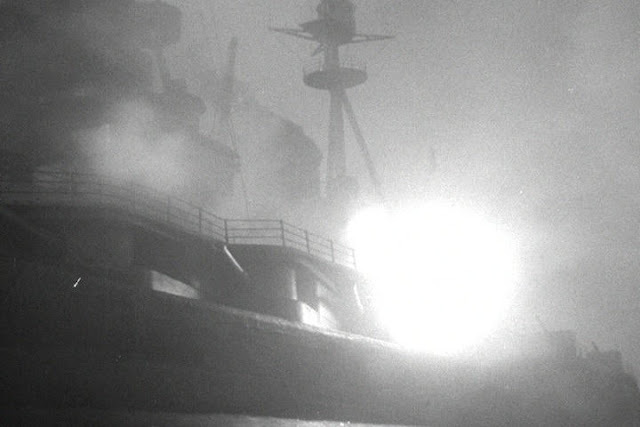 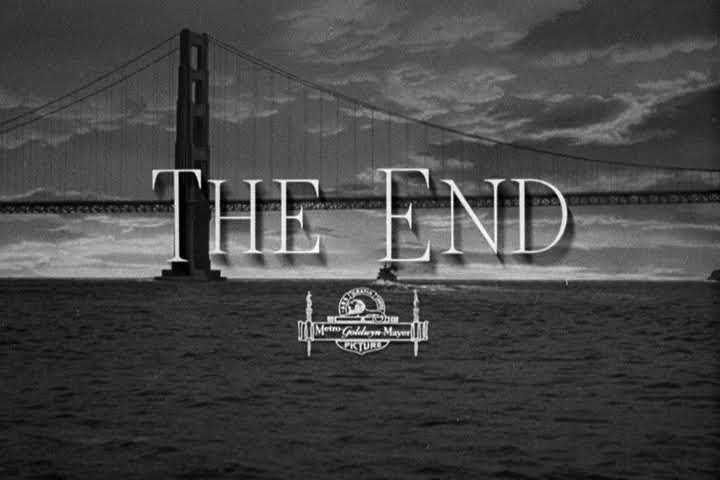 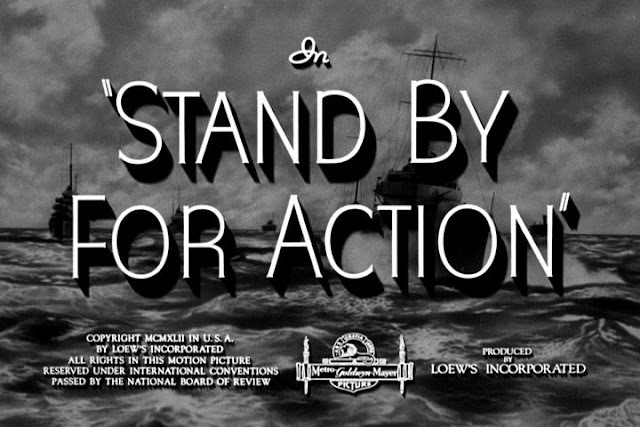 A. Arnold Gillespie MGM's chief of special effects and his miniatures supervisor Donald Jahraus bring their considerable expertise to this wartime story of the re-commissioning of an old WW1 vintage 4 stacker destroyer. 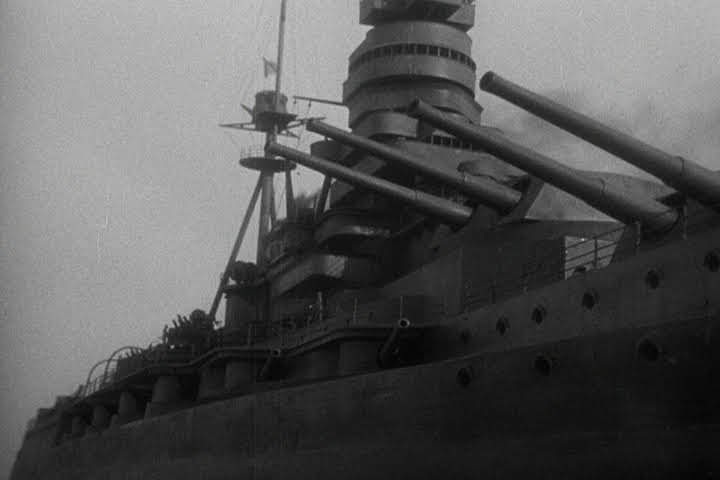 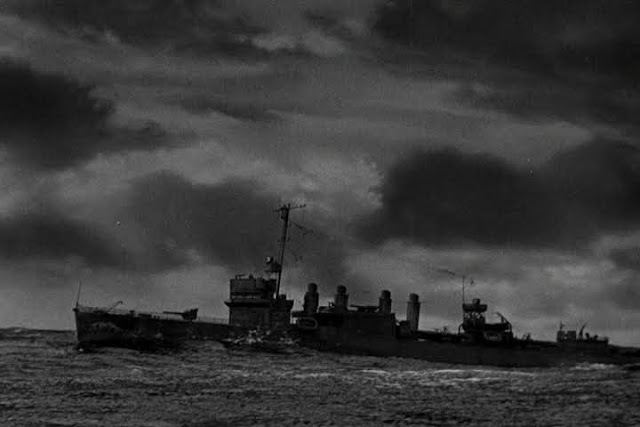 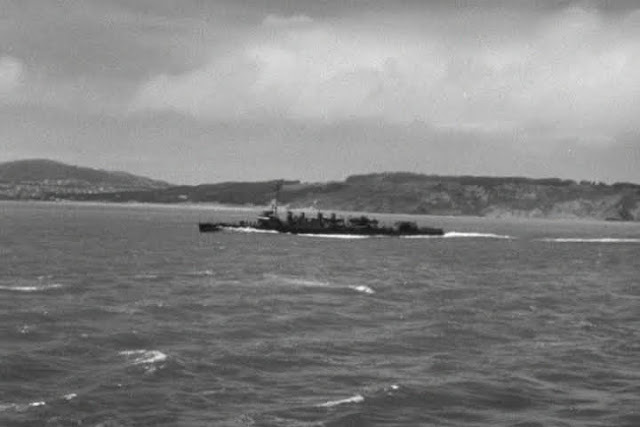 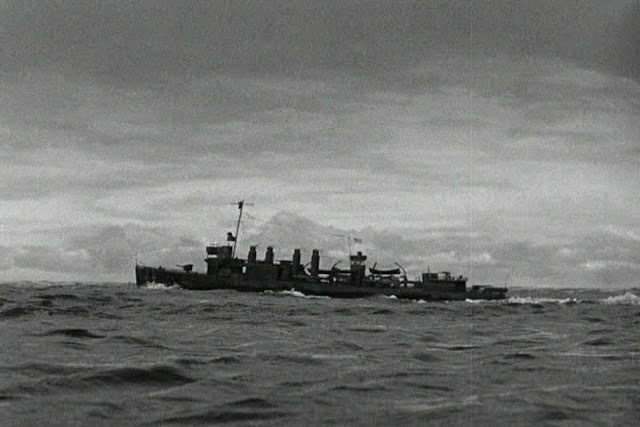 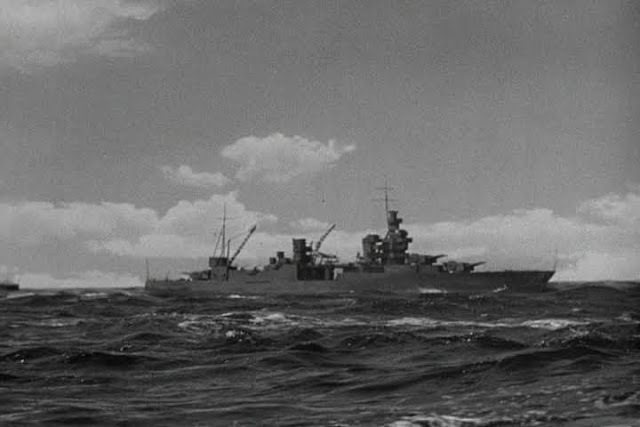 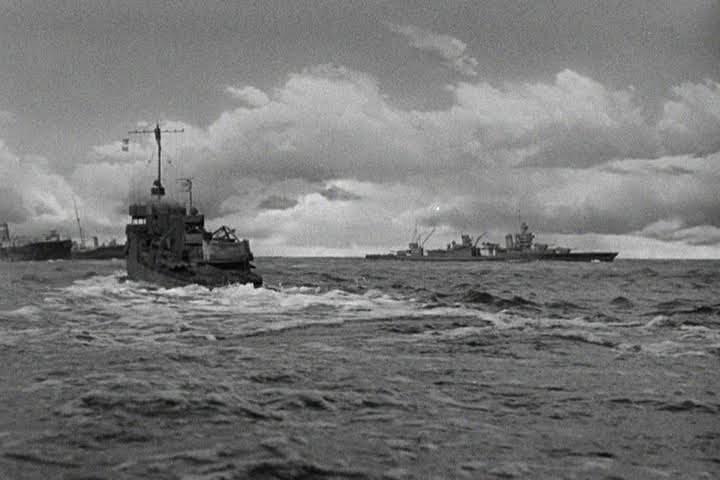 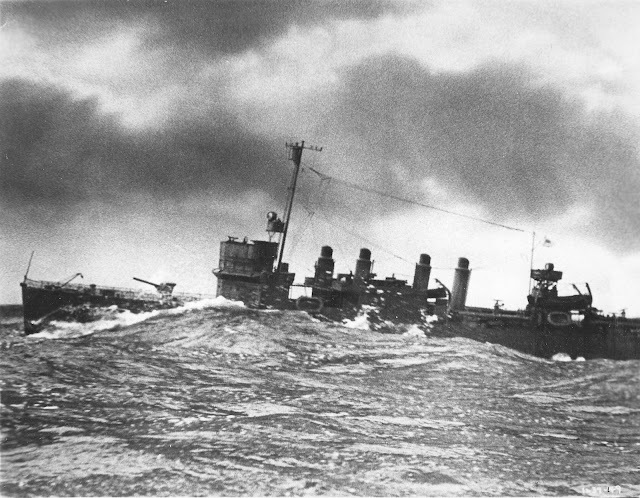 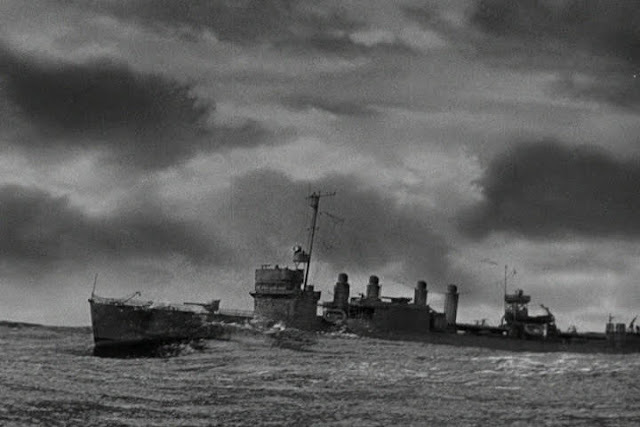 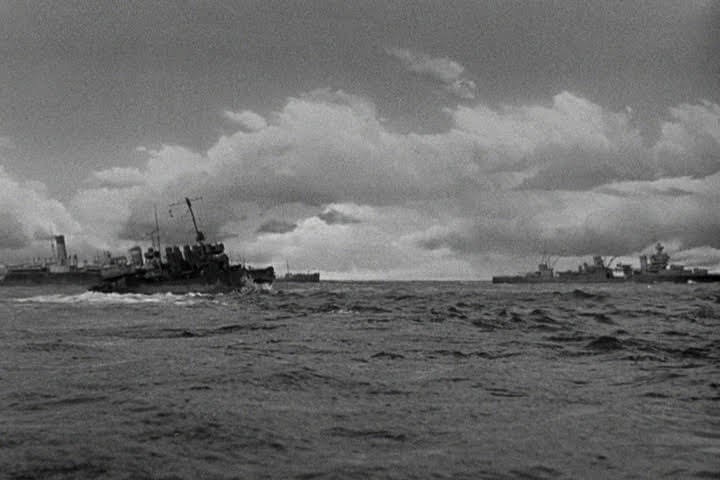 The Warren, the destroyer featured in the movie was built in two scales, the larger at 1/16 scale and a smaller one for distant shots at 1/24 scale. Also featured are a collection of convoy ships, again in the same two scales. 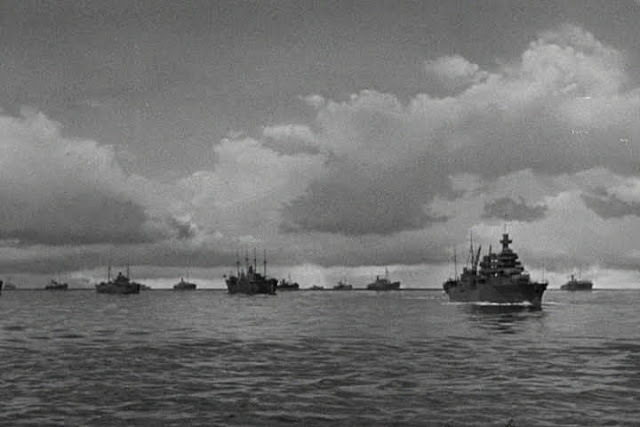 The larger ones are featured close to camera and the smaller in the background. Simple painted cutouts are also used on the tank horizon to fill out the numbers required for a convincing convoy. 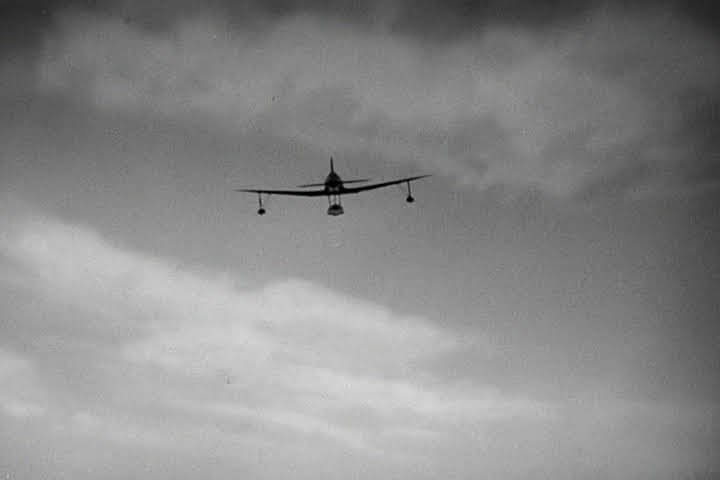 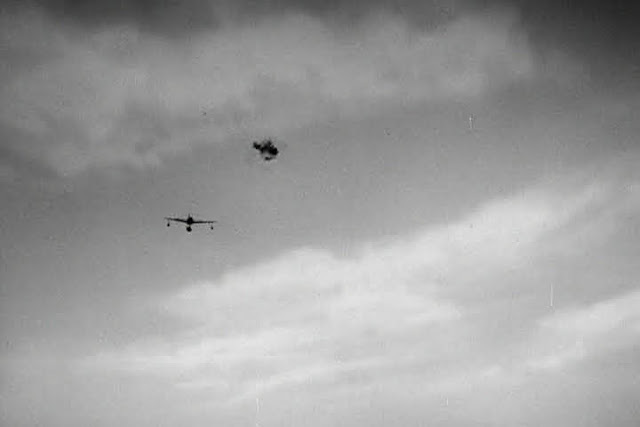 A miniature Japanese aircraft is shot at and the bursting shells were simulated by dropping "balloons" filled with a black powder onto the floor of the studio with a white background, while the camera was placed overhead. 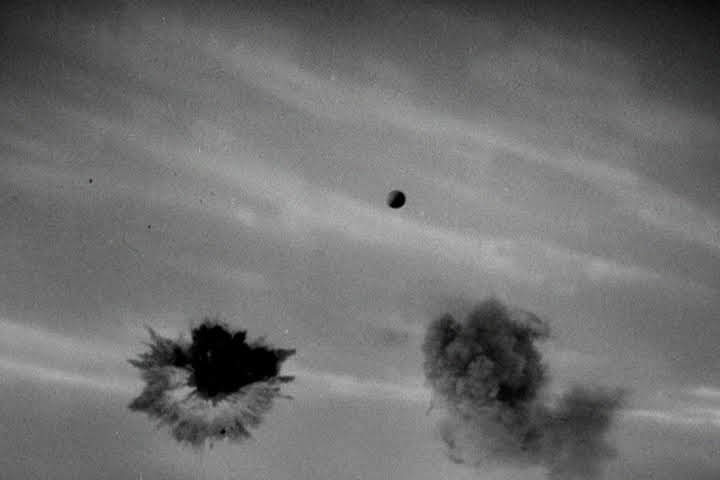 These powder bursts were then printed over the pre-filmed miniature plates in the optical printer. 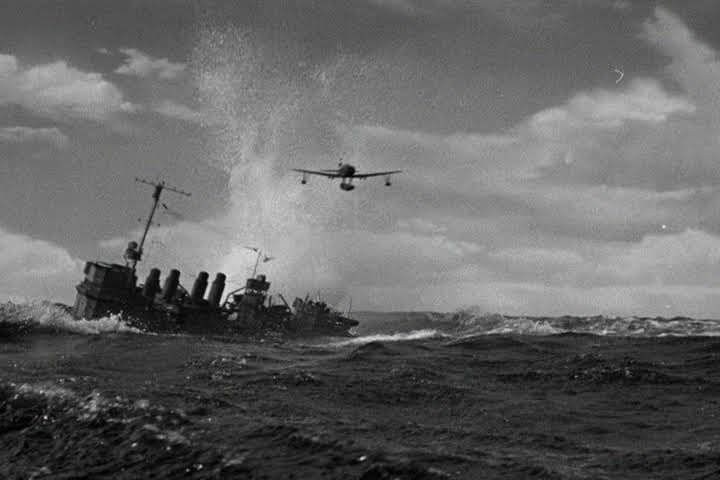 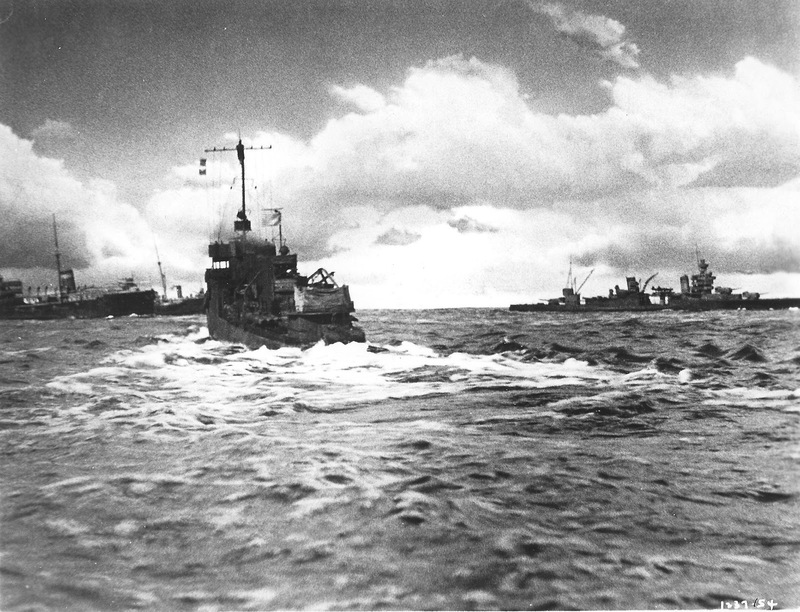 The view of the convoy below from the point of view of the aircraft was shot using 8 to 10 inch (200-250 mm) ship models placed in 1inch (25mm) of water with foreground clouds painted on glass. 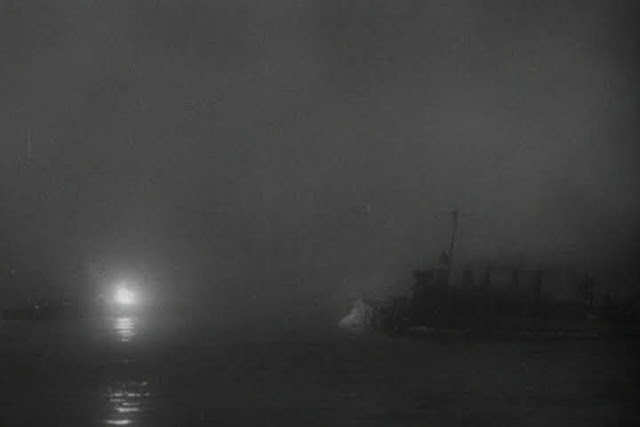 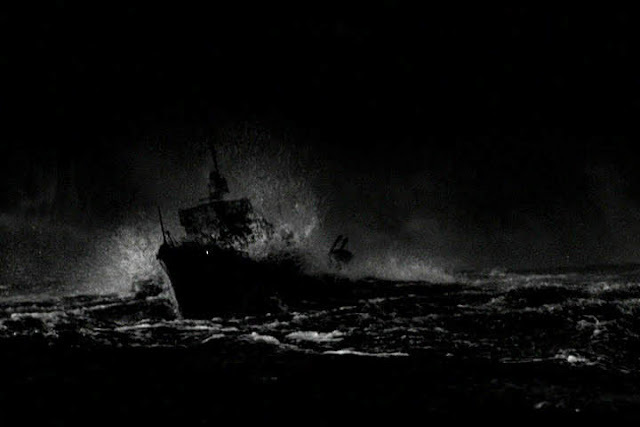 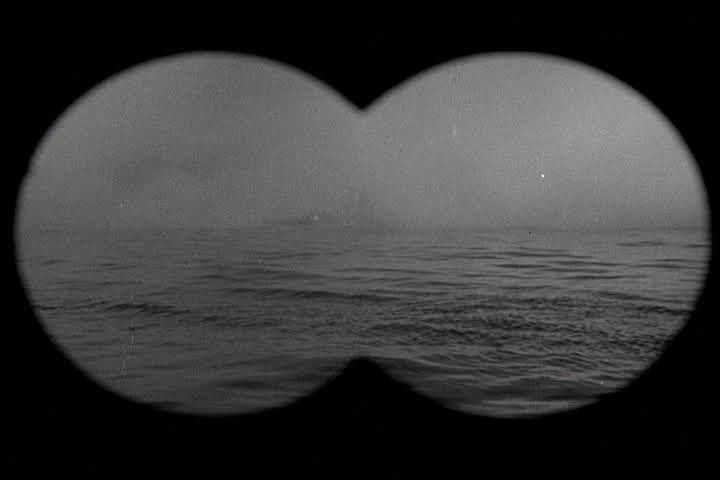 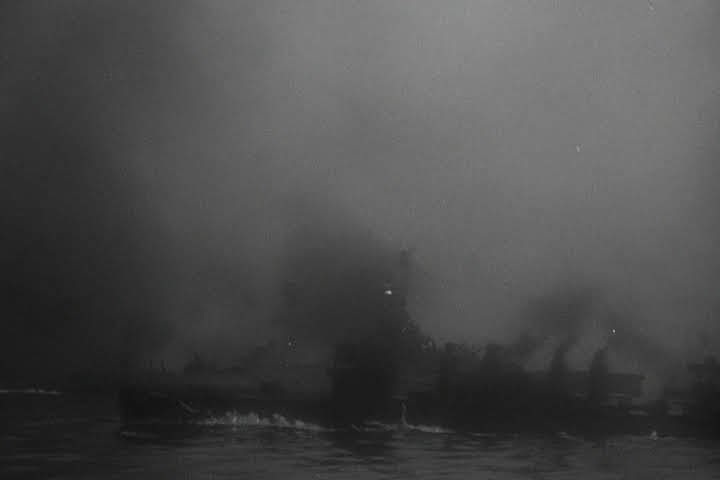 The wakes from the ships were painted on clear celluloid with the tiny waves generated by fans. 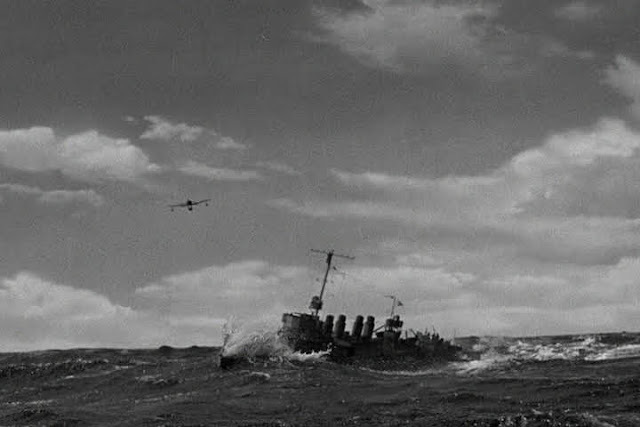 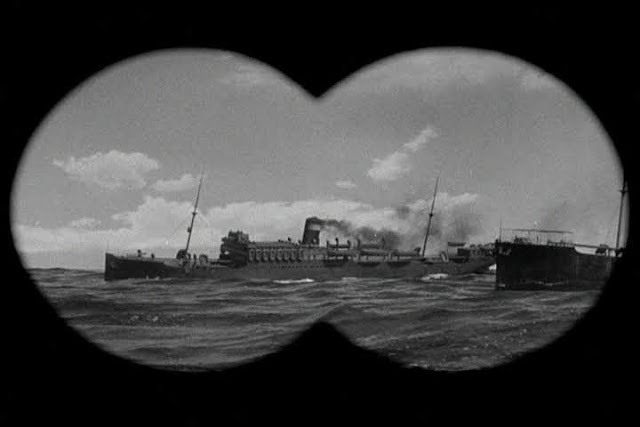 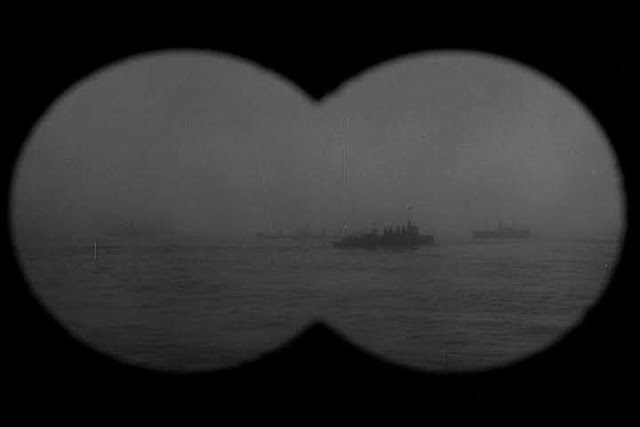 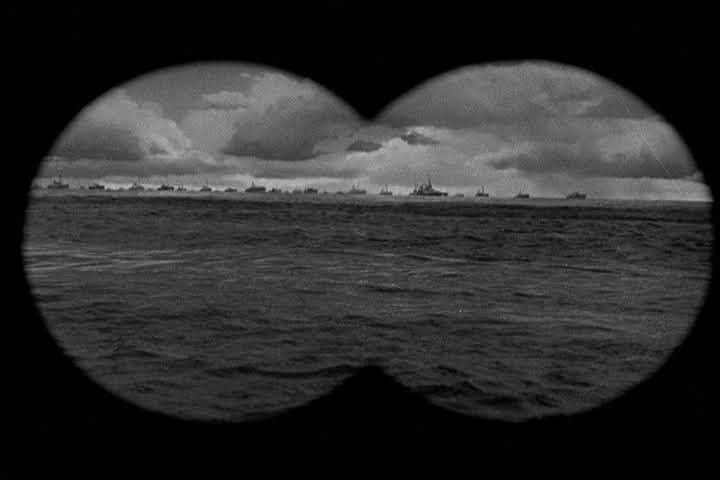 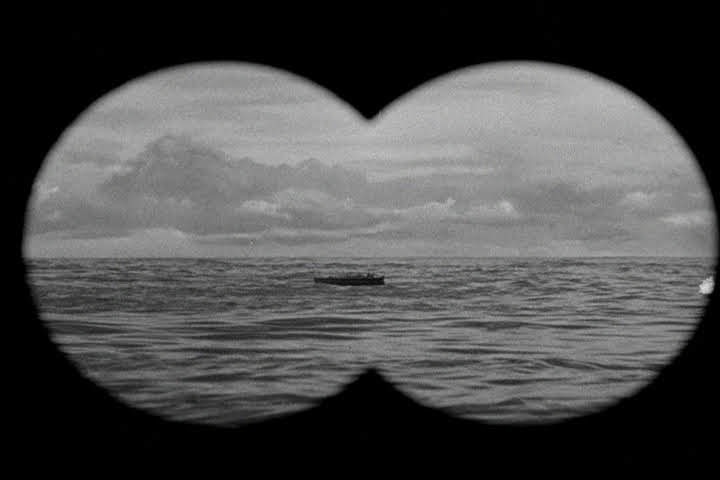 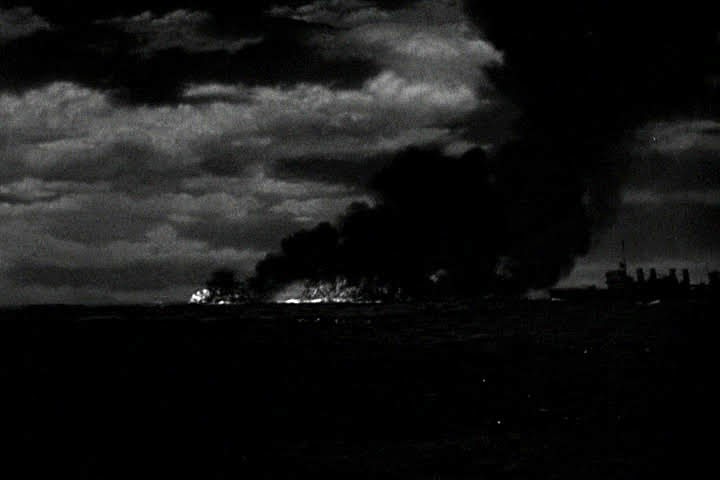 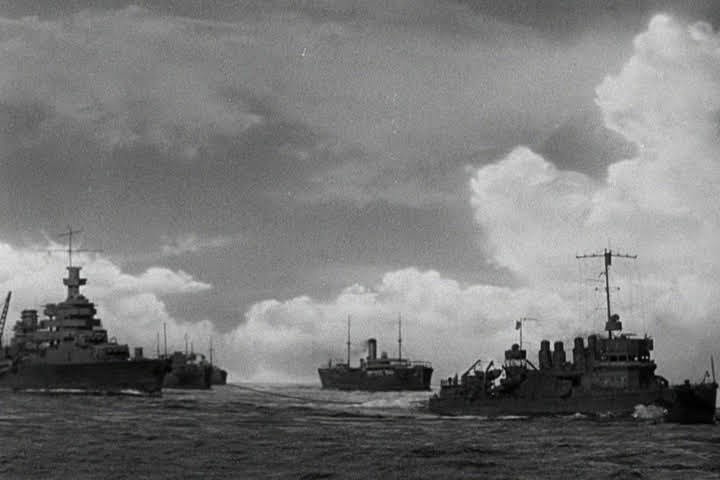 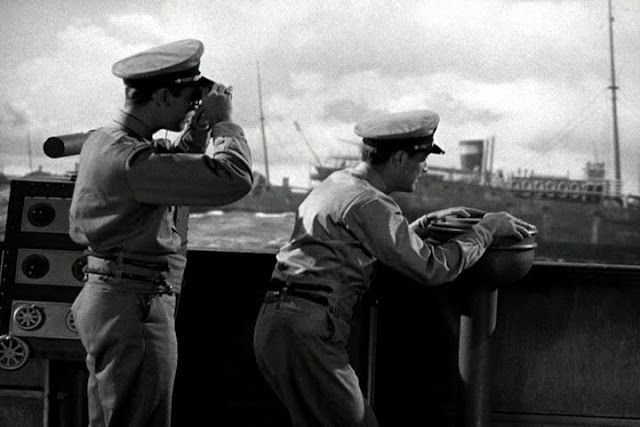 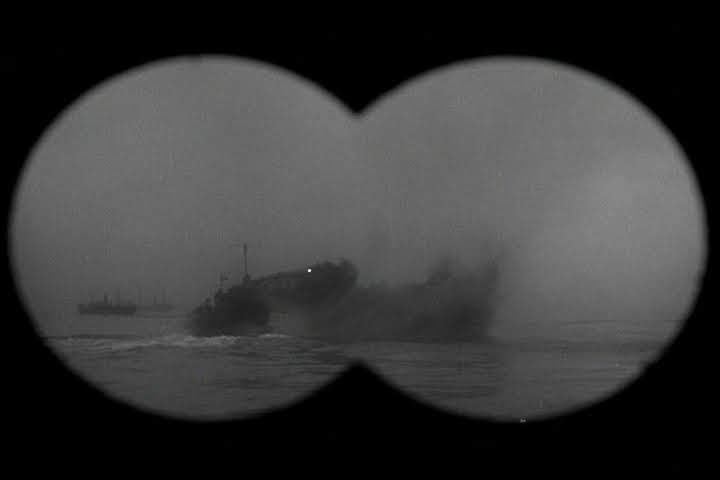 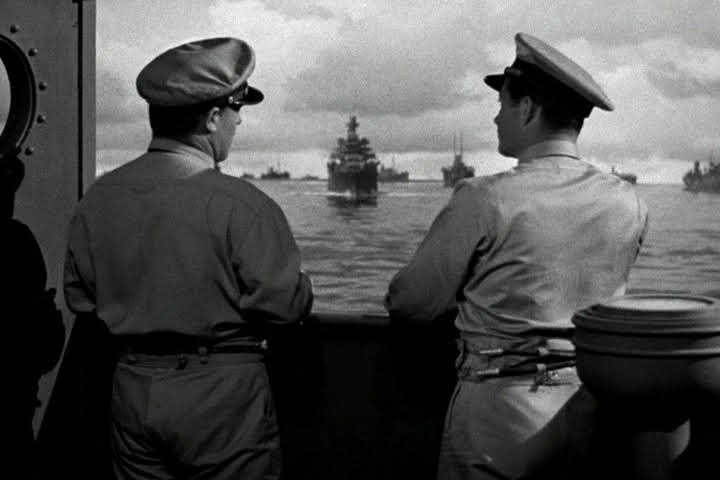 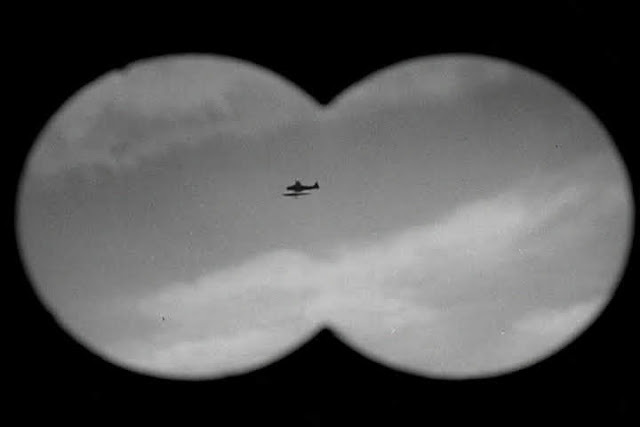 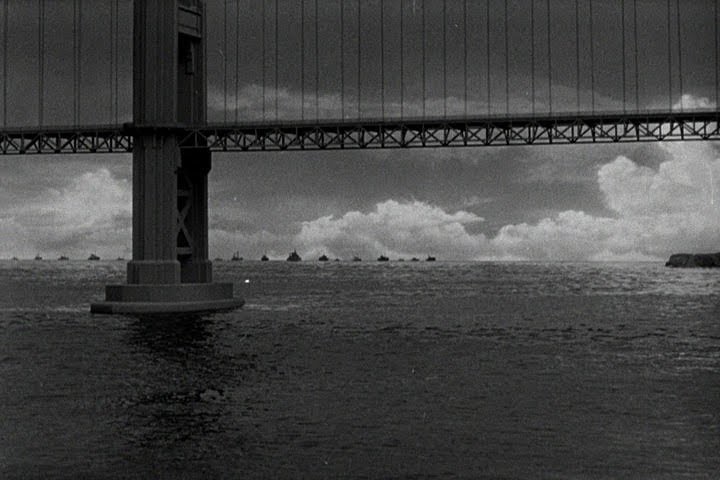 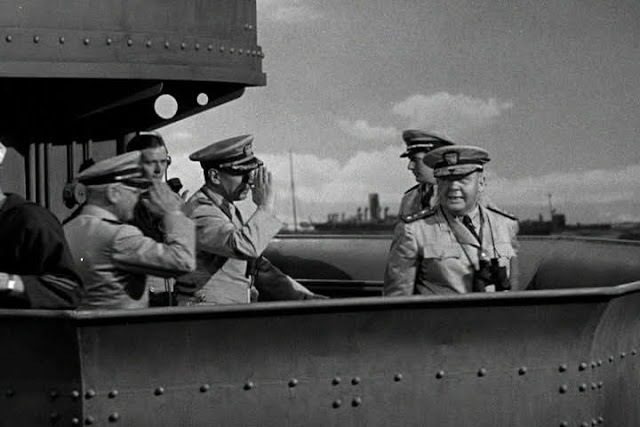 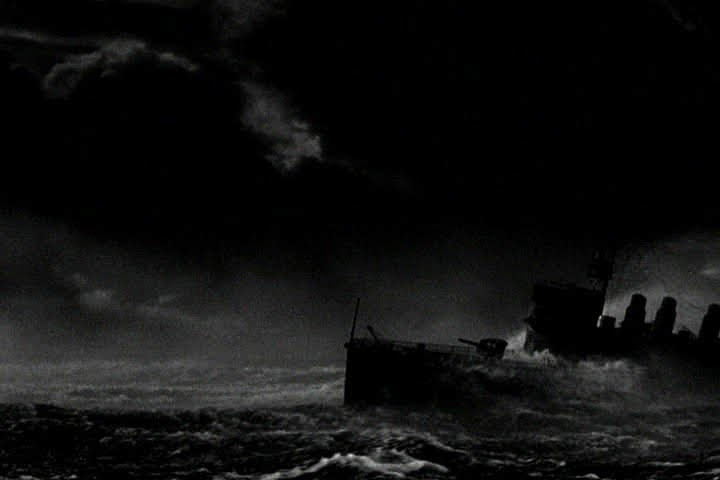 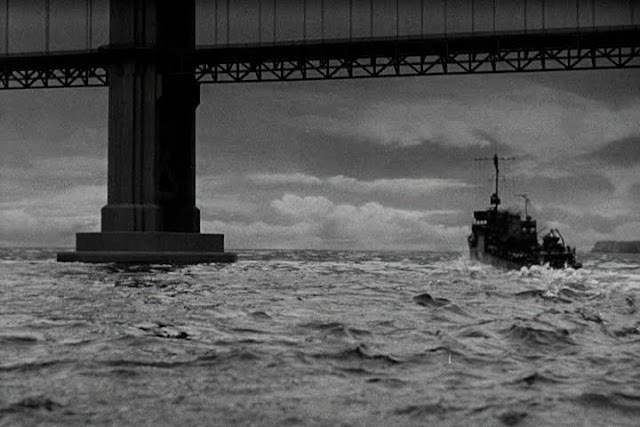 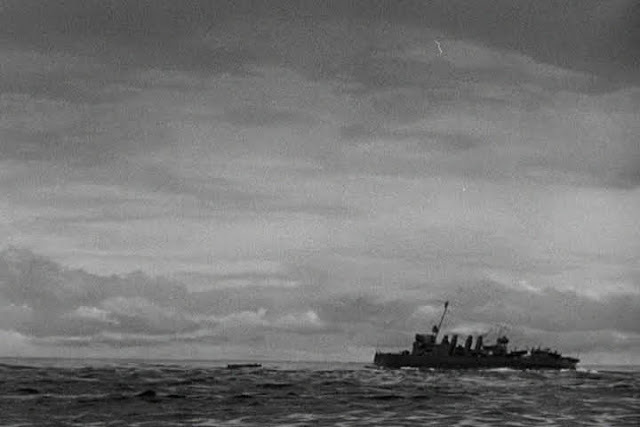 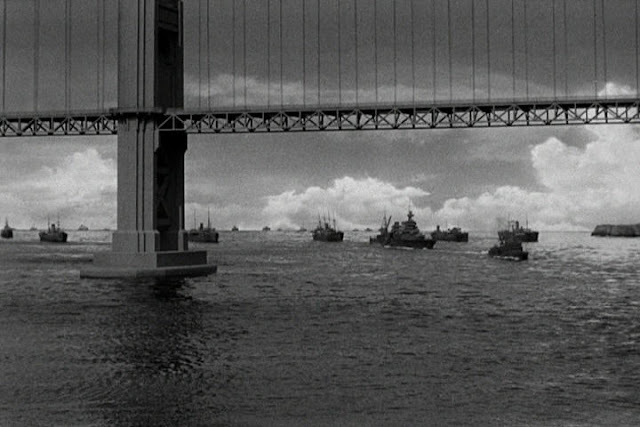 Many miniature plates were used in the live action rear projection process scenes showing the miniature convoy in the distance behind the actors. 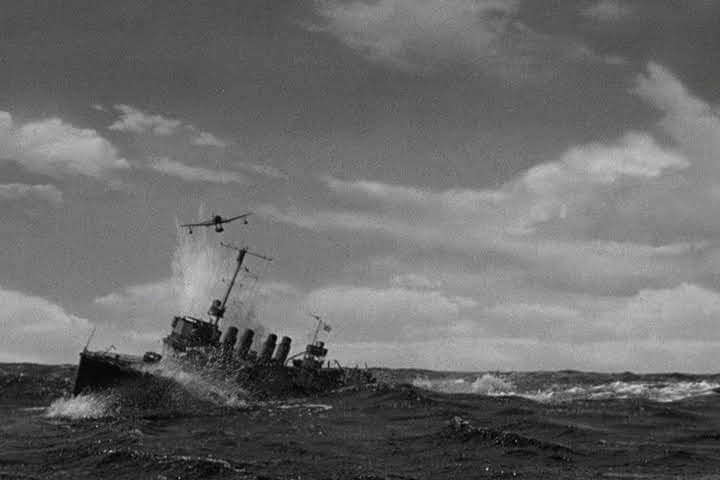 The wake in the background plate from the ship they are supposedly standing on was generated by an out of frame outboard motor. 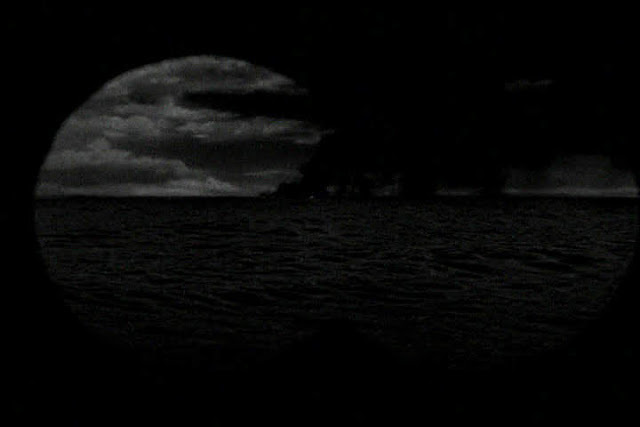 As usual all the night shots were filmed during the day using the day for night technique of filters and underexposure. 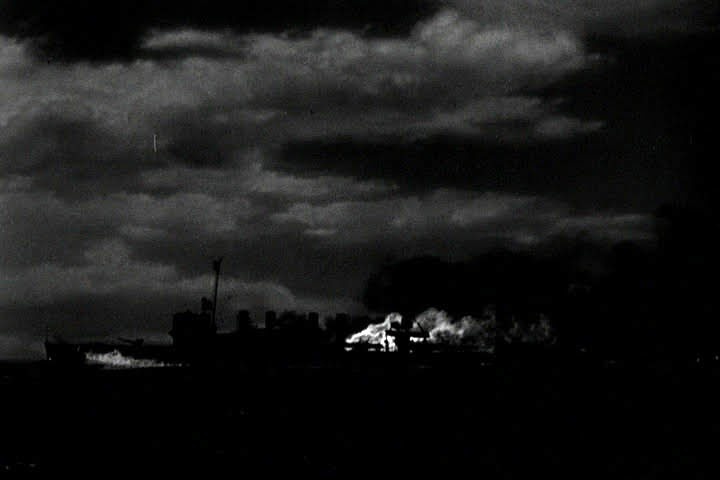 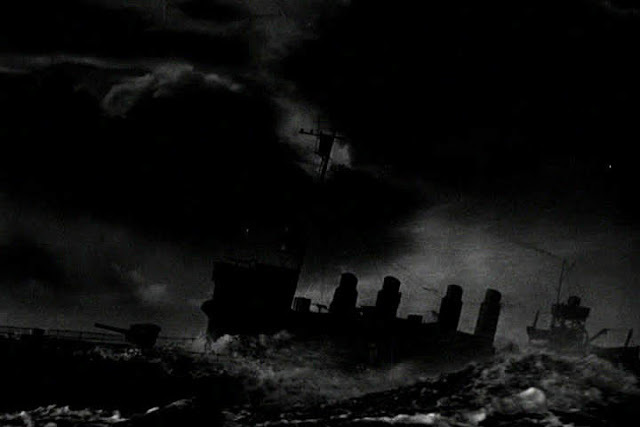 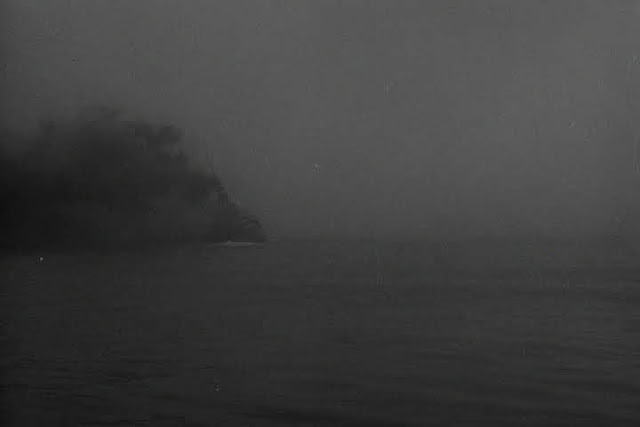 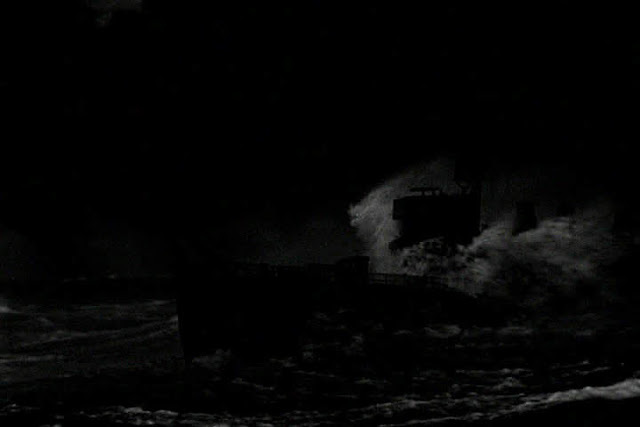 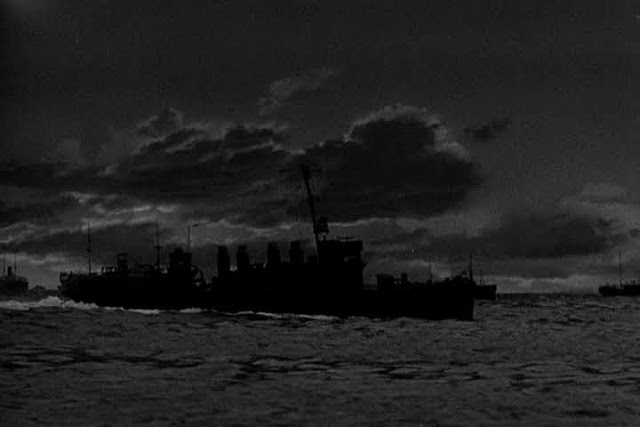 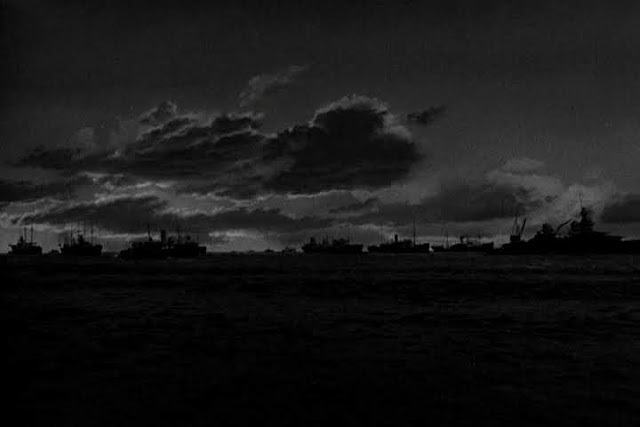 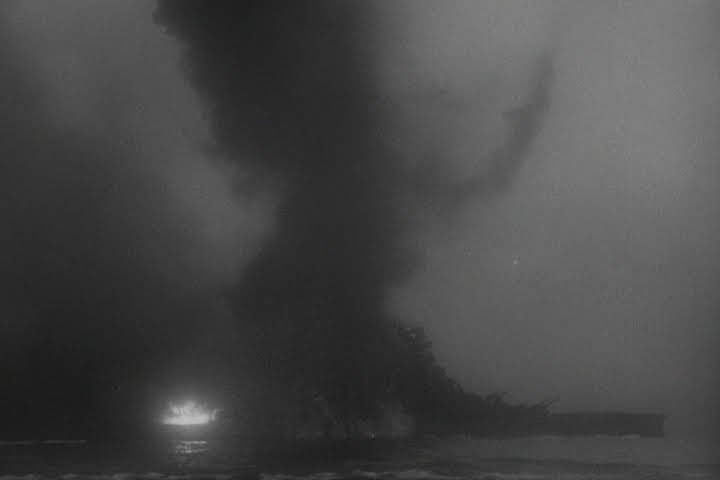 To make sure the ship models remained as convincing silhouettes they were painted black. 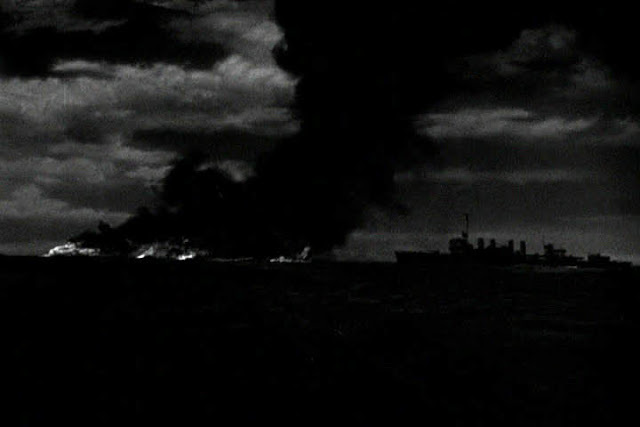 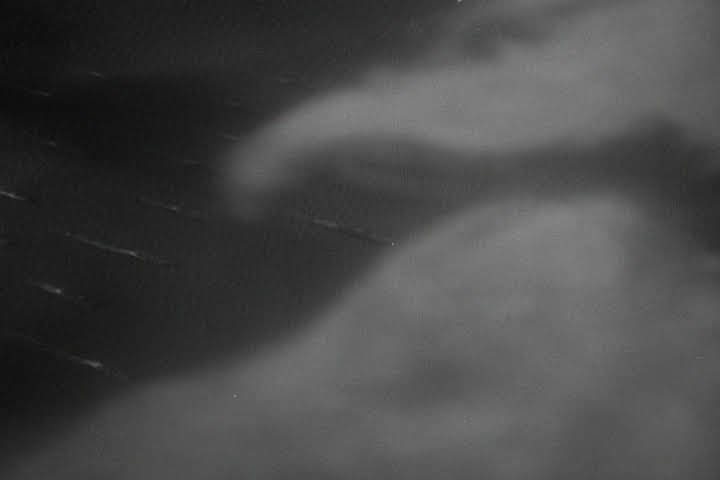 The black smoke generated by the Warren as she lays down a smoke screen used tanks of burning crude oil. 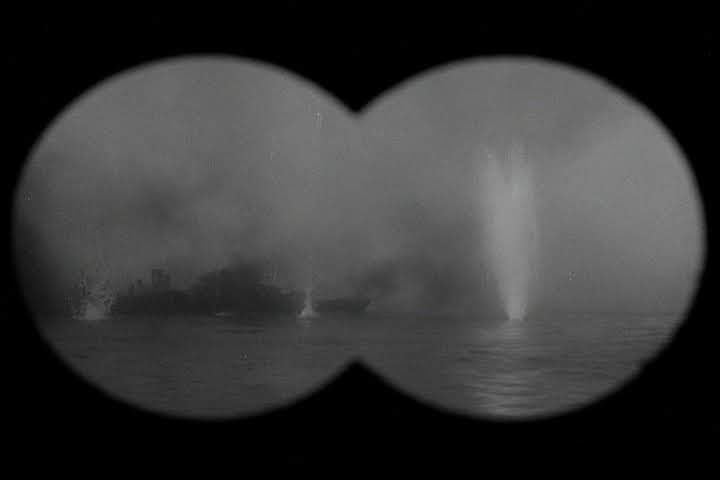 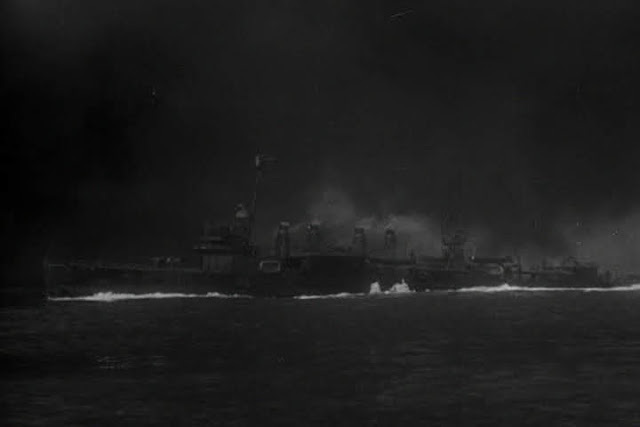 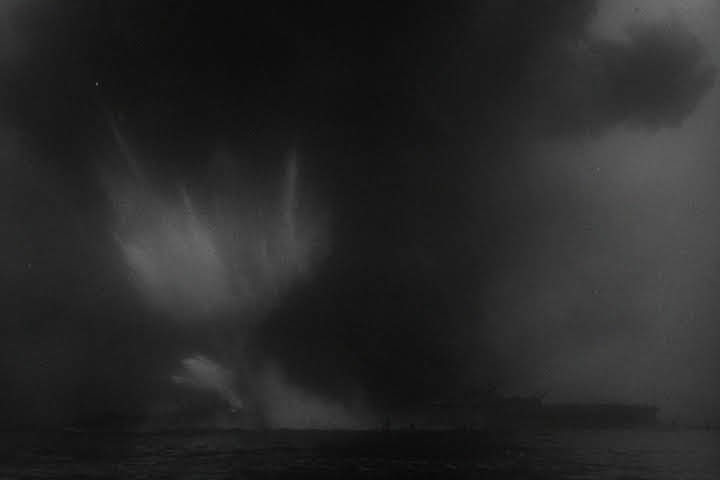 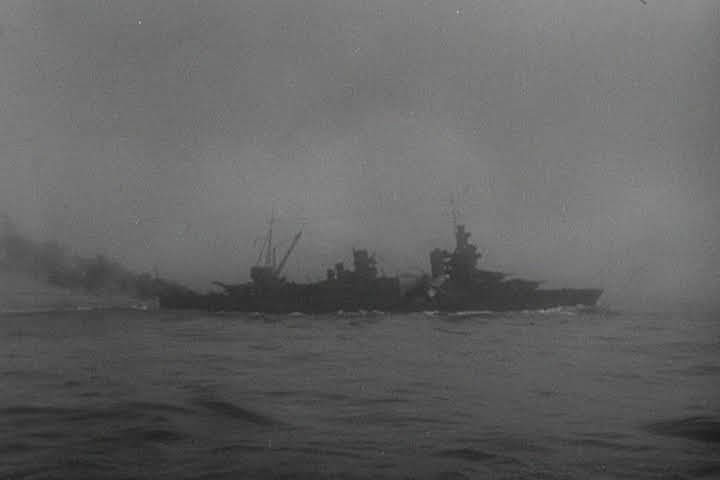 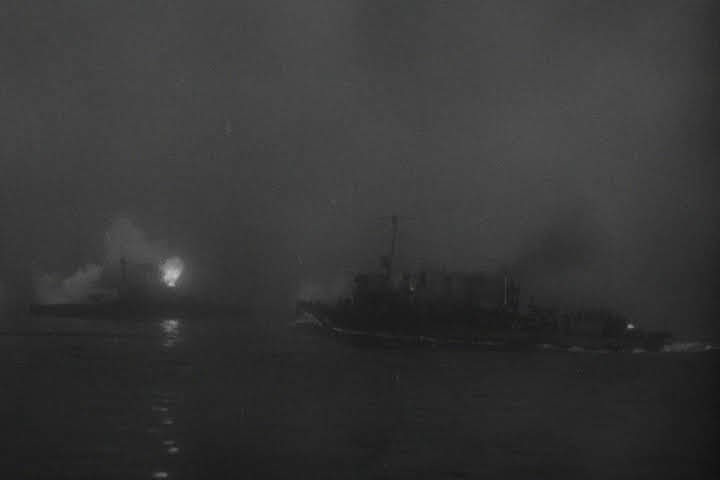 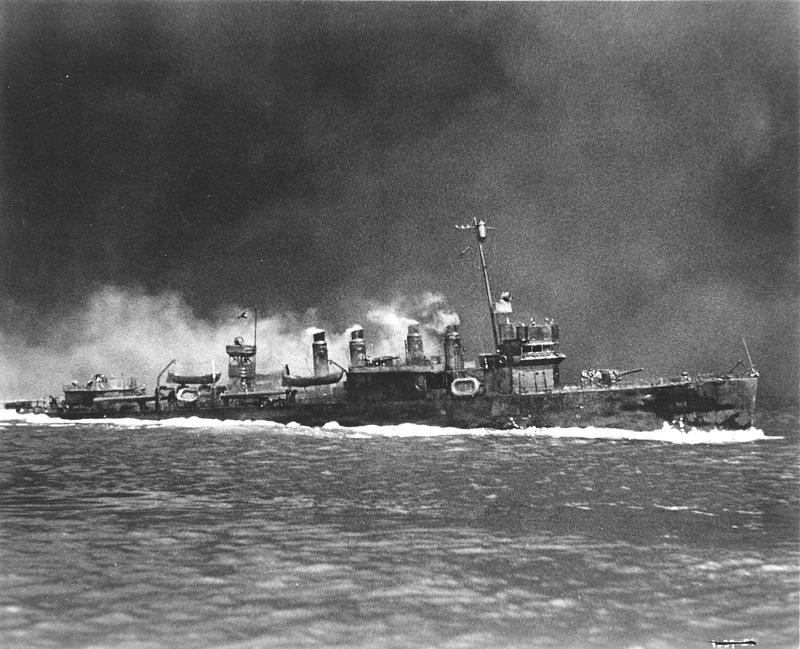 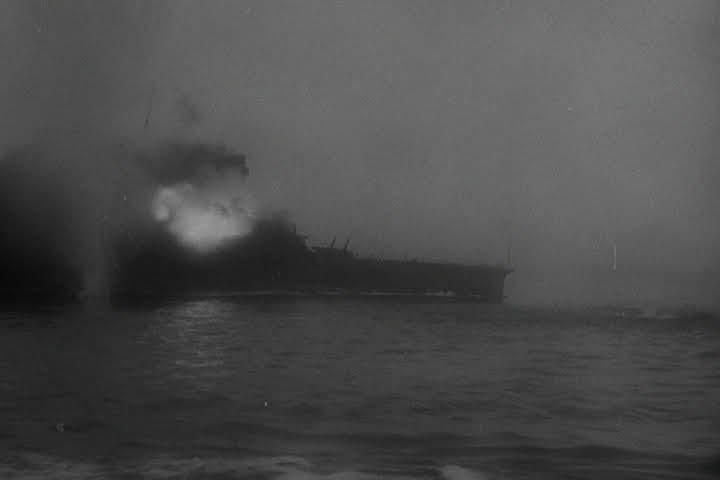 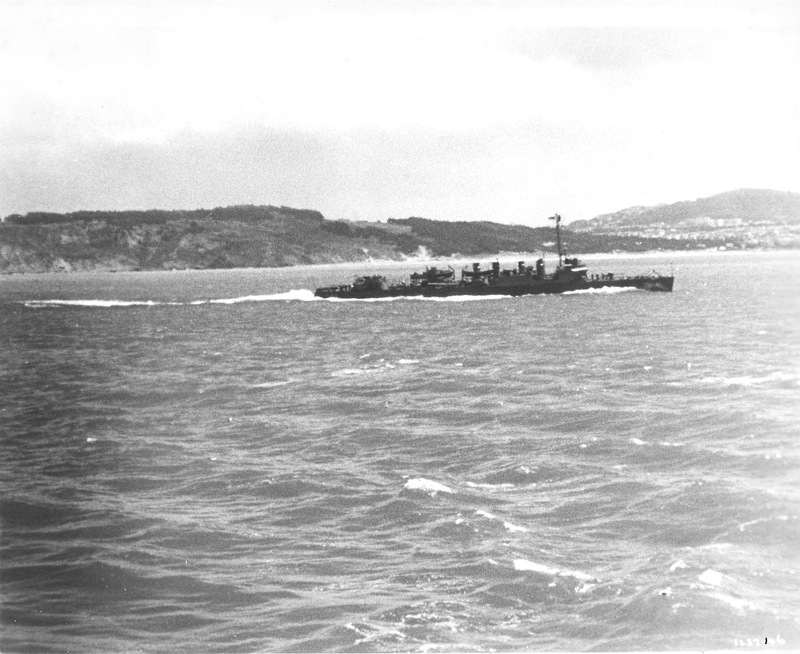 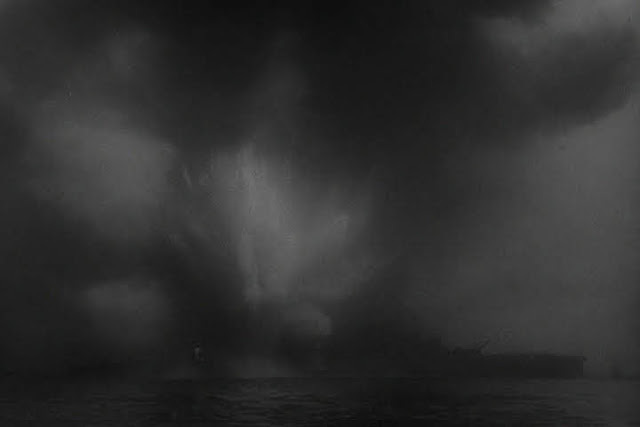 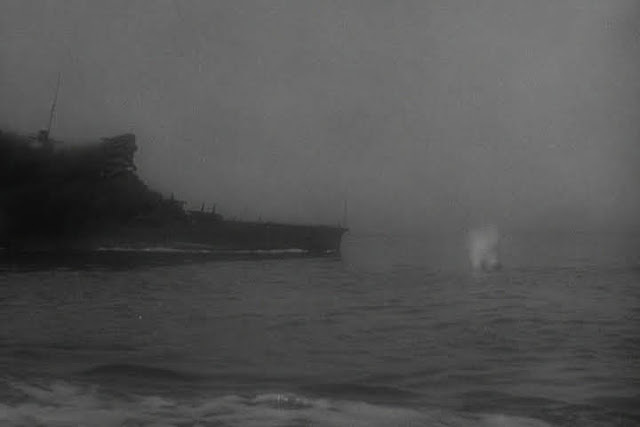 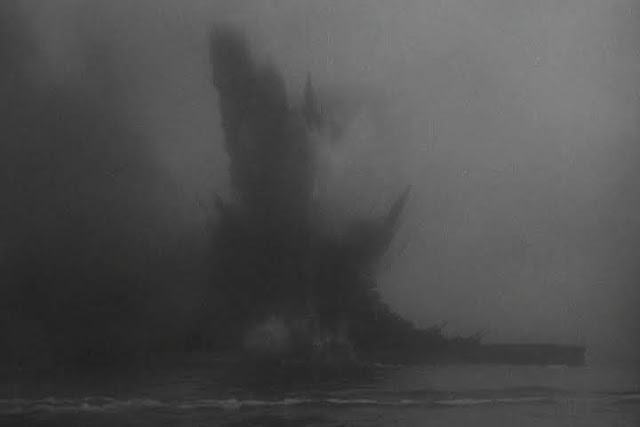 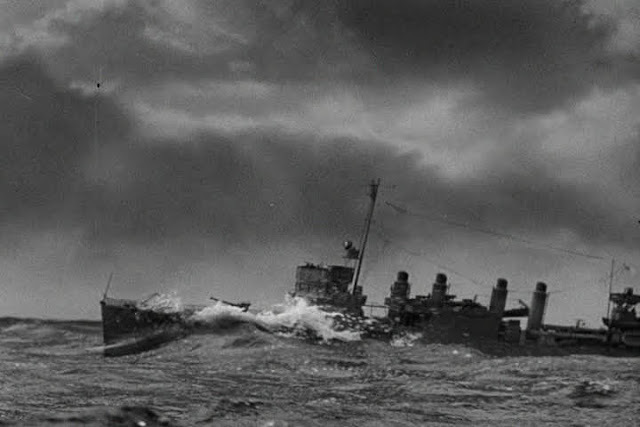 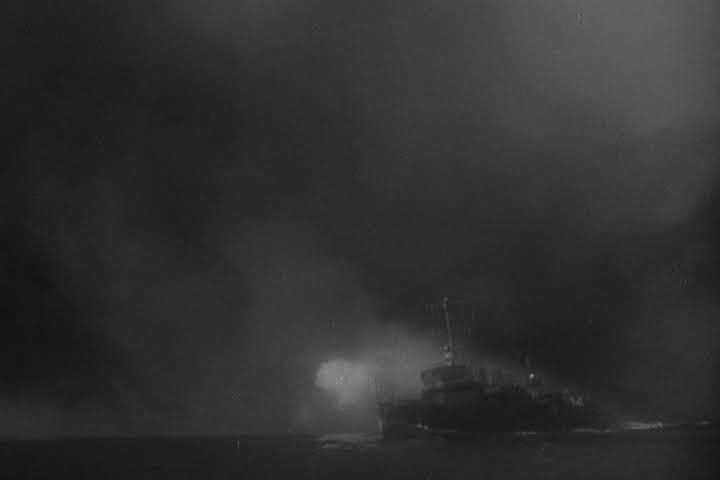 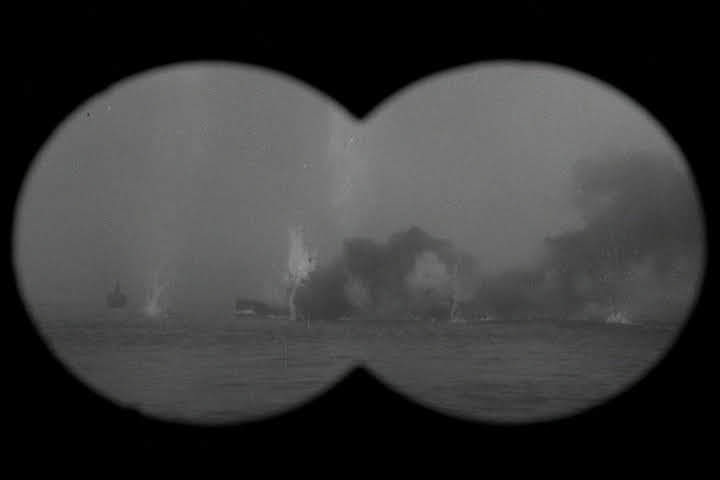 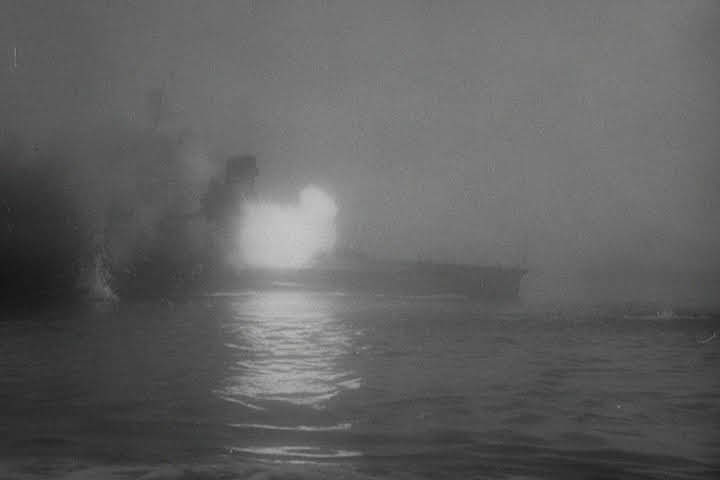 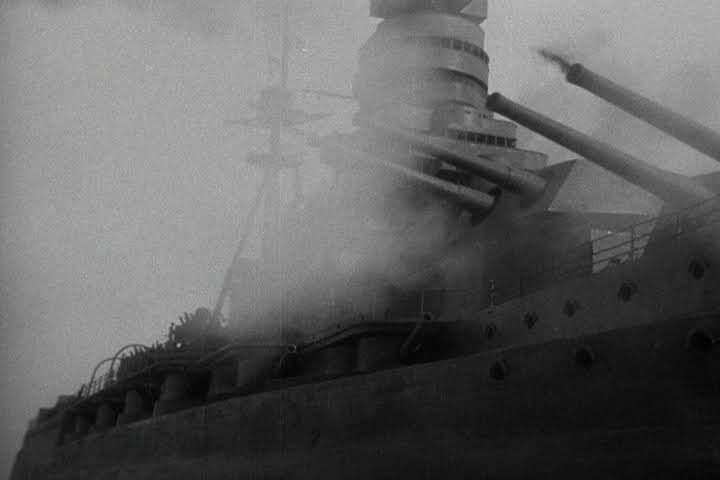 During the climax a miniature Japanese battle ship is torpedoed by the Warren and the large explosions used a combination of mortars attached to the hull for the initial torpedo impact closely followed by further mortars on the deck. 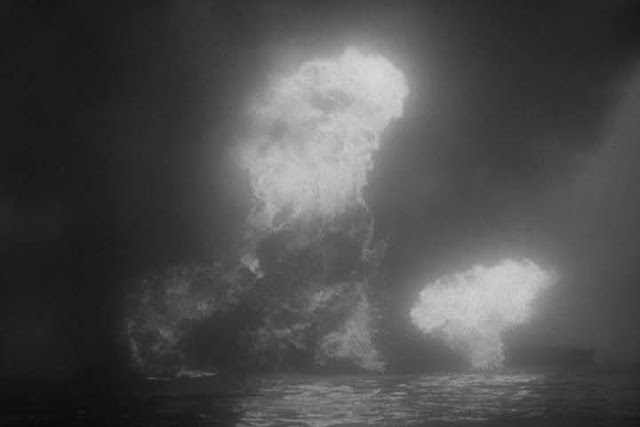 Eventually the magazines are depicted exploding and large fireballs are added to the mix. The model itself does not actually get destroyed though it looks like it does, and many successive takes were filmed in the MGM lot 3 tank. Source: The Wizard of MGM, Memoirs of A. Arnold Gillespie published by Bear Manor Media.